Save on Silver Shield products and be ready for anything this summer! 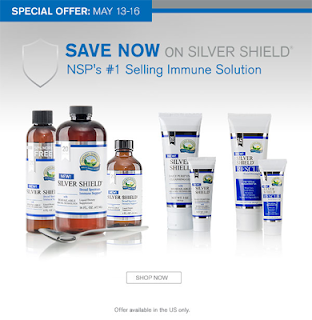 NSP's #1 selling immune support product, Silver Shield Liquid, can help you get through the summer unscathed. 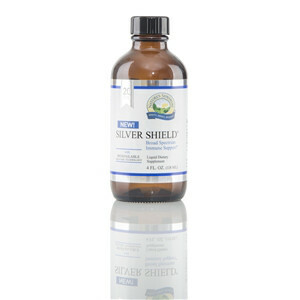 • Save 25% on Silver Shield Liquid (18 ppm) in the 4 fl. oz. size. • Or GO BIG, with our value-sized 16 fl. oz. (20 ppm) bottle, up to 15% off this week. 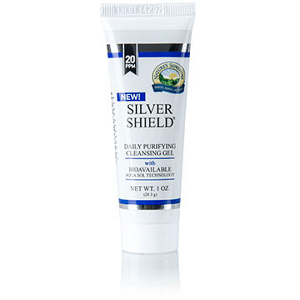 • Save 25% on both Silver Shield Gels, Purifying and Rescue, in two sizes. Our 3-ounce size is great for home while the 1-ounce tubes fit nicely in your car or purse. Seize the power of Silver Shield. Stock up today! Special offer(s) not valid on prior purchases or purchases made after May 16.